Majestic pool view and access from room. Whenever you feel like a drip, just slide open the glass door and jump right into the pool. Spacious bedroom. 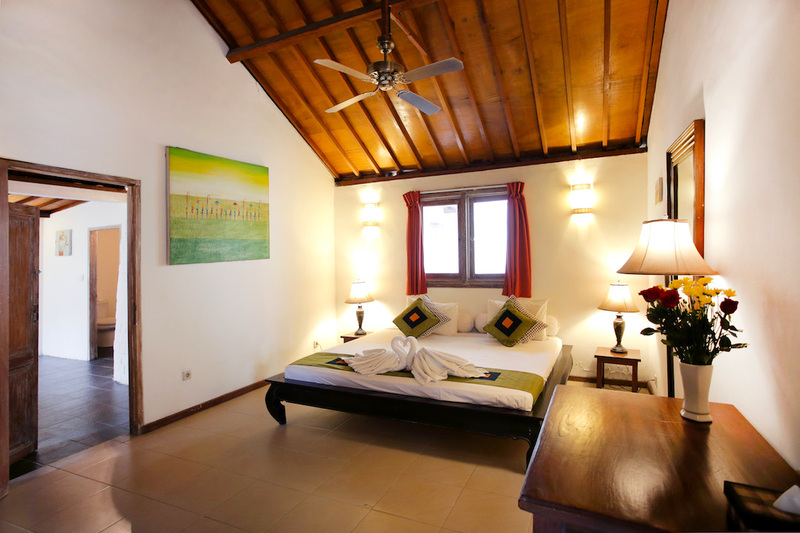 Ample space for your activities, you can even dance salsa in your room or enough for a few to do yoga! 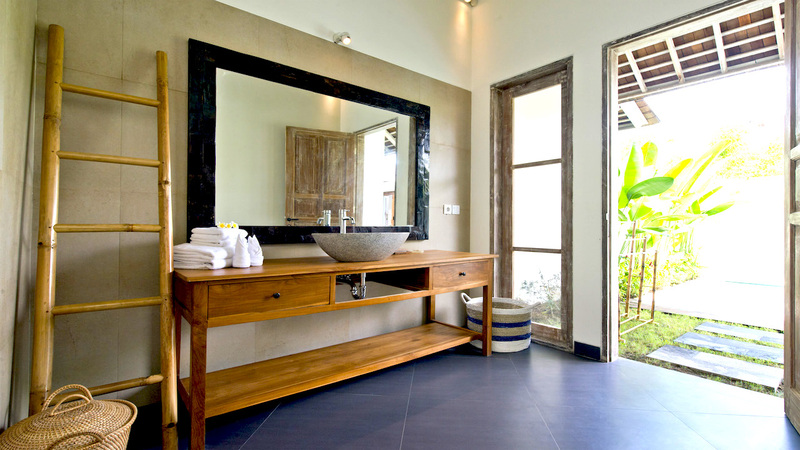 Beautifully designed bathroom. We use marble stone basin to for its timeless mosaic design and creatively handcrafted bamboo ladder for hanging your bathsheets or clothings. Open space living room. Eco-consciously design by allowing as much sunlight in. 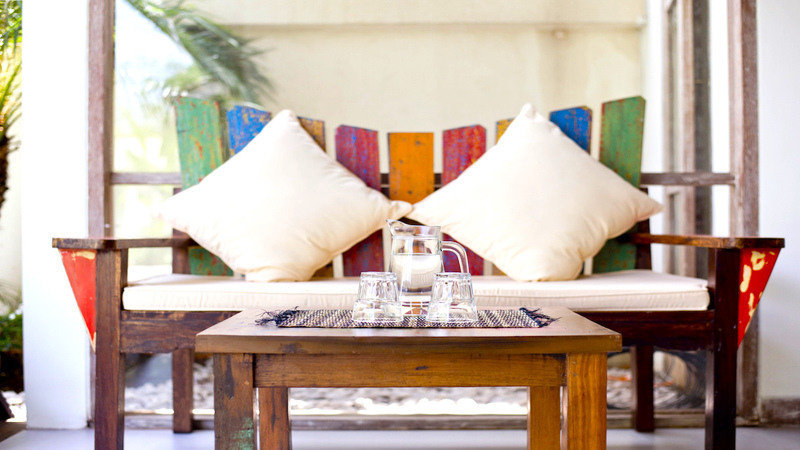 With furniture inspired by local artists you will sure enjoy the beautiful fusion of modern and Balinese interior design. Huge 170sq. 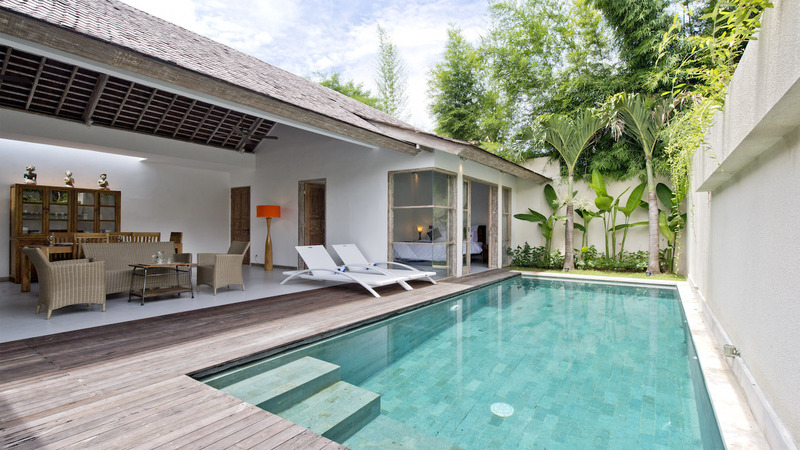 meters villa, perfect for groups or families. Comes with 2 bedrooms. Enjoy the full fledge of facilities like cooking equipments, coffee making machine, fridge and so much more. 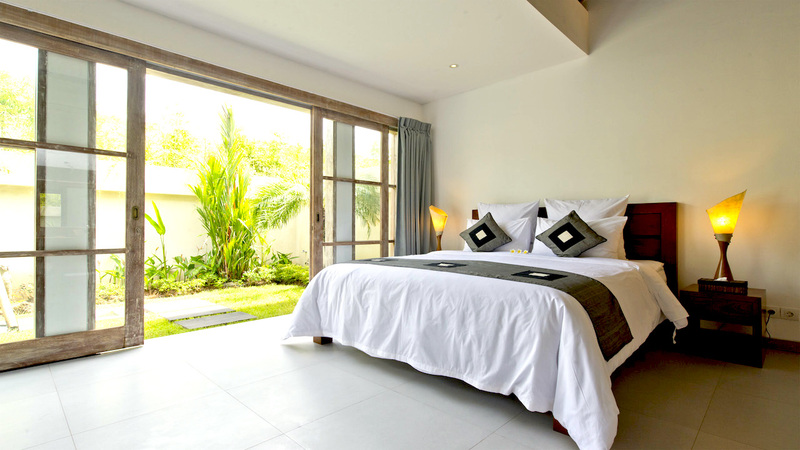 Master bedroom with large walk-in wardrobe for all your closests with easy access to the small garden. 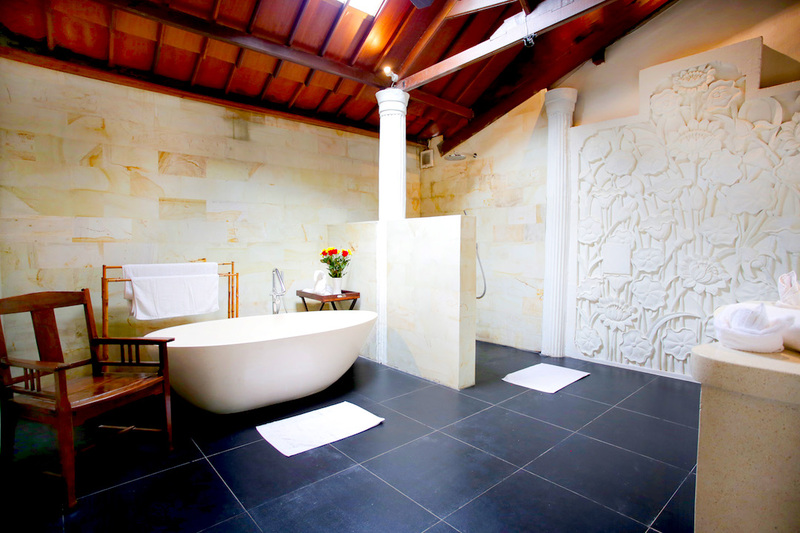 Bathtub with large Balinese backdrop. 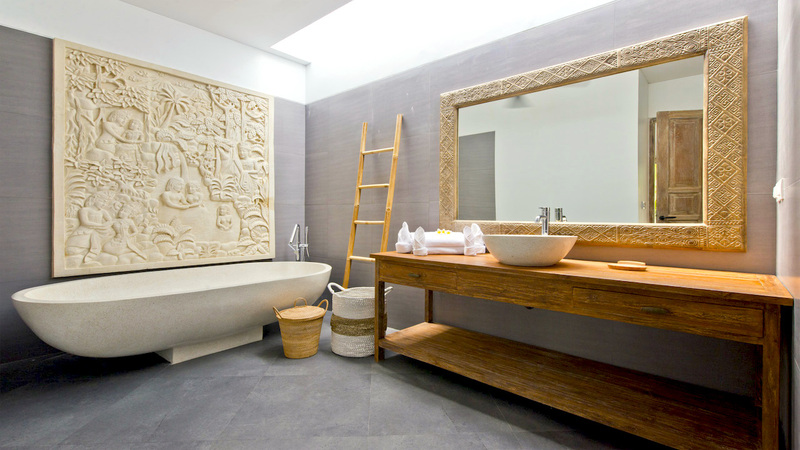 Immerse yourself in the truly authentic Balinese shower. 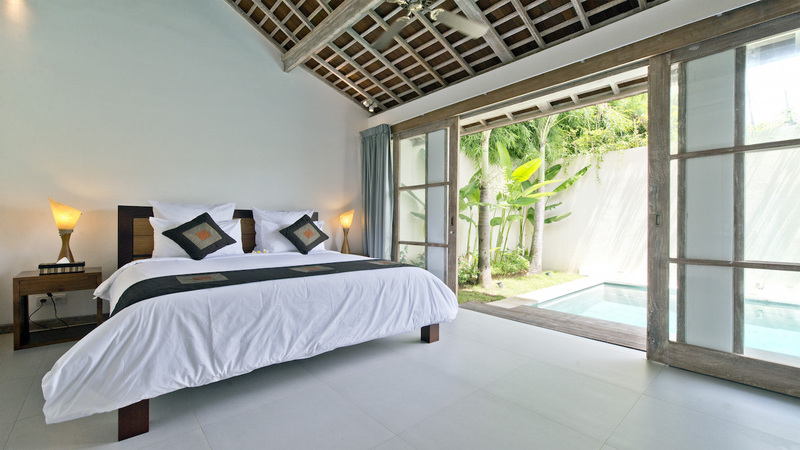 Second bedroom with easy access to the pool. 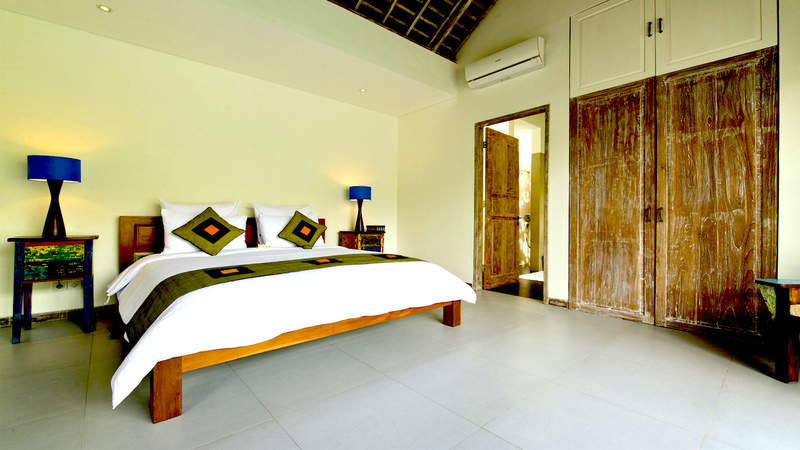 The room is also equipped with a flat screen TV and attached bathroom. A large house with a private pool. Huge garden for you to relax and enjoy the surrounding serenity. A tropical garden sets in stone pavement. If you enjoy a tint of greenery and a pristine taste of gardening, this is the place to be. Ample space with bathtub and shower head. Pamper yourself in a warm bath or shower like never before. 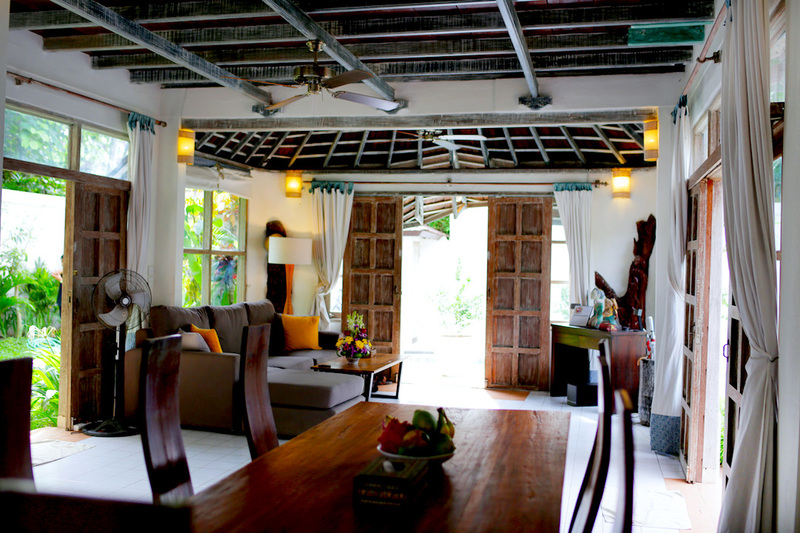 A large communal area for you and loved ones to mingle and socialise. 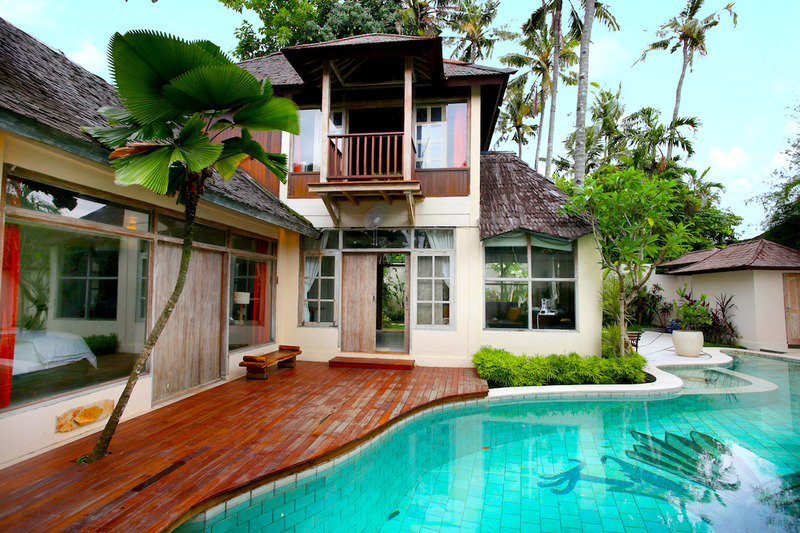 Balinese style furniture will set you back with a tinge of nostalgic feel. 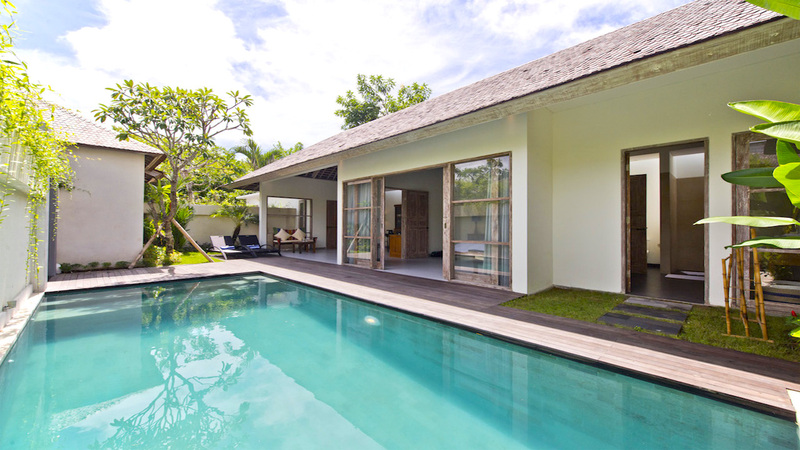 With direct sliding door access to the pool, you will enjoy the killer pool side view. 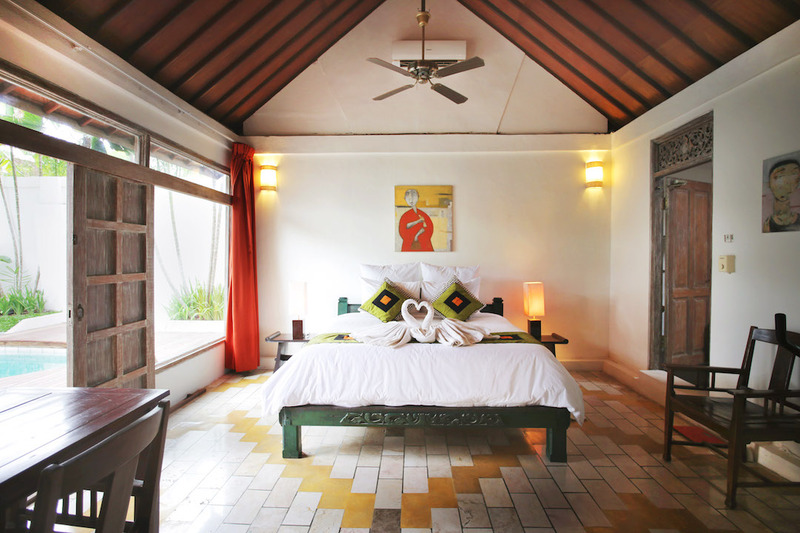 Balinese veil extends from the top of the bed frame. 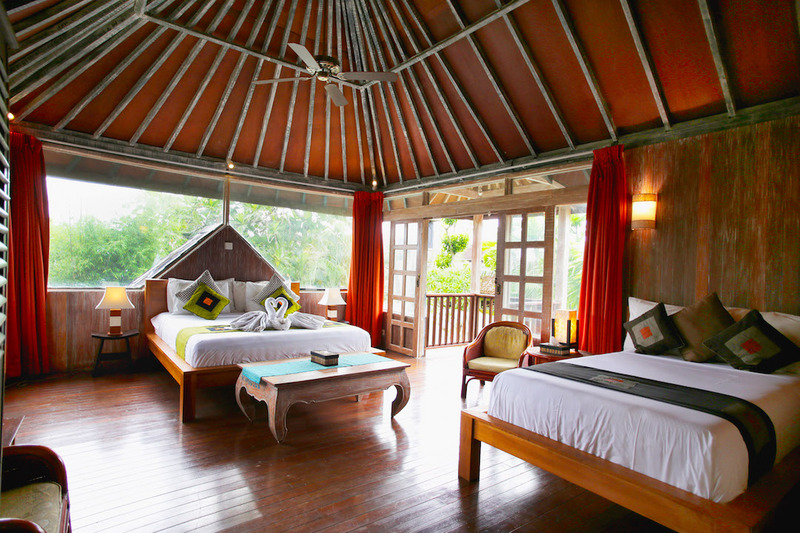 Immerse yourself in the truly authentic Balinese inspired room. Comfy bed and ambient lights. 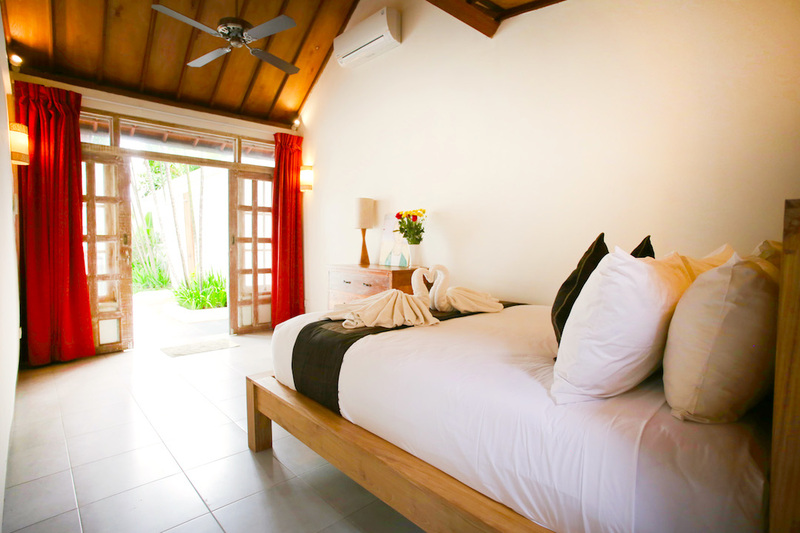 All you need after a busy day shopping around Legian street or sunbathing by Kuta beach. Room fitted with fitness equipments. Get ready to charge up! Known as one of the best spots in the world for surfing. 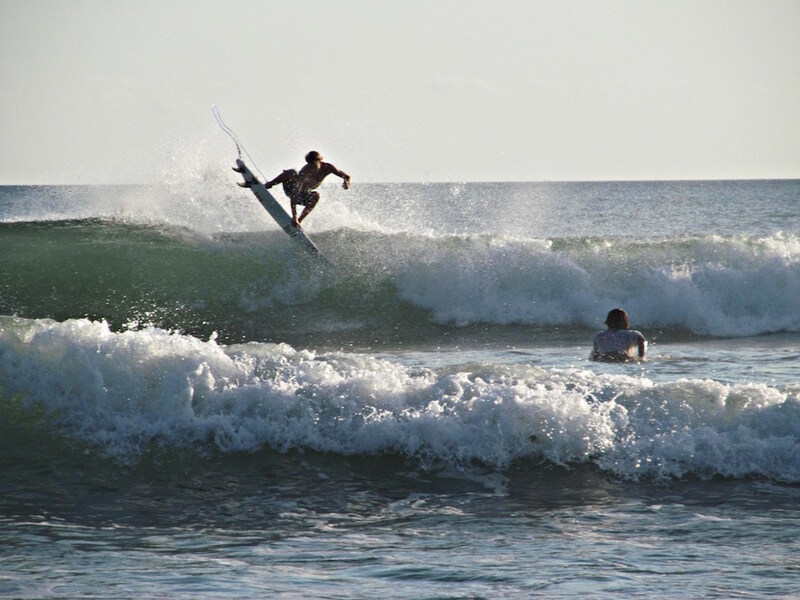 With good current it is not difficult to make a cool surf. 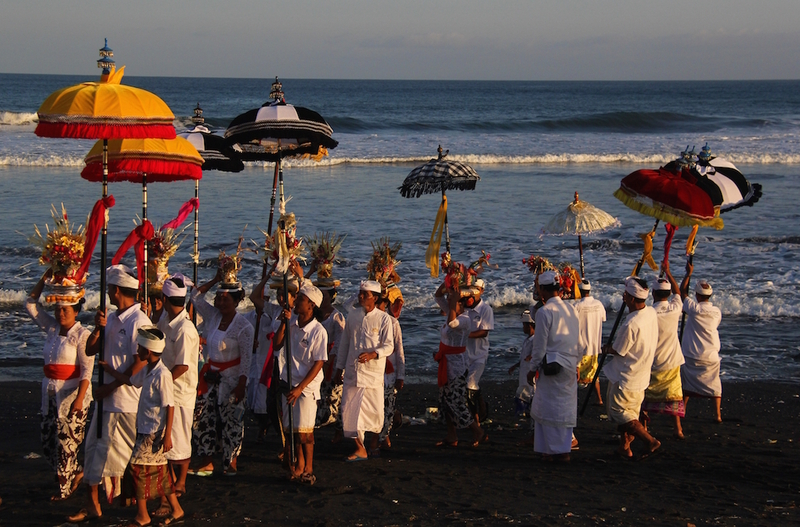 Cultural rich Bali with rituals and ceremony will make you learn about their tradition and religion. If you drove to the outback you will be caught by the stunning view of the seaside and white sandy beach. 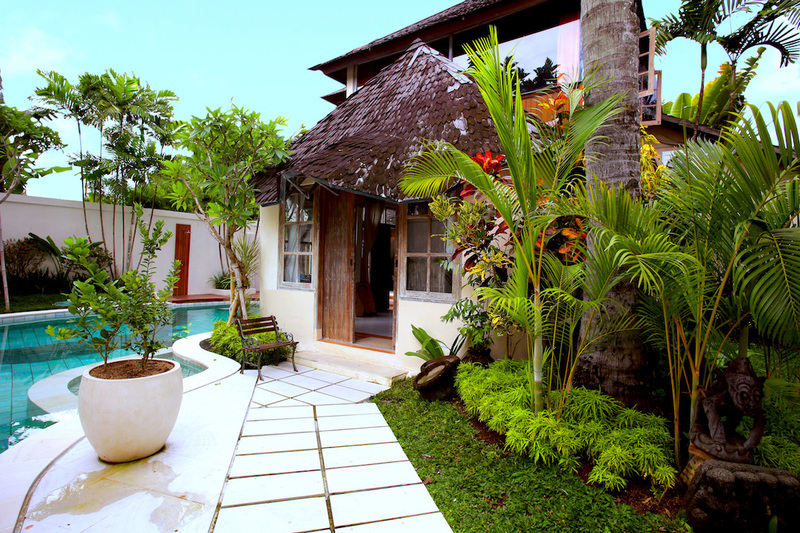 Central Bali like Canggu where you can find terraced paddy field and different kinds of vegetation. 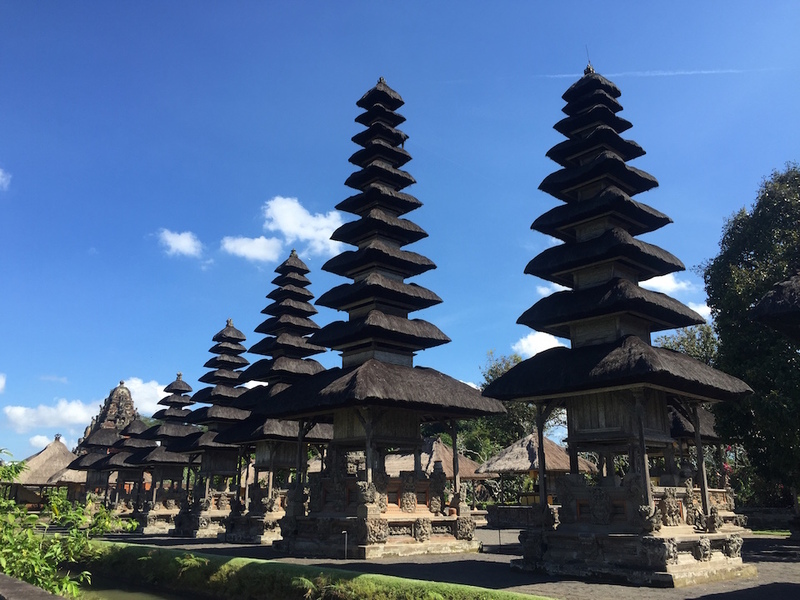 There are several volcanos where you can hike around Bali especially for stunning sunrise view. A lot of historical temples around the island waiting for you to visit and explore. 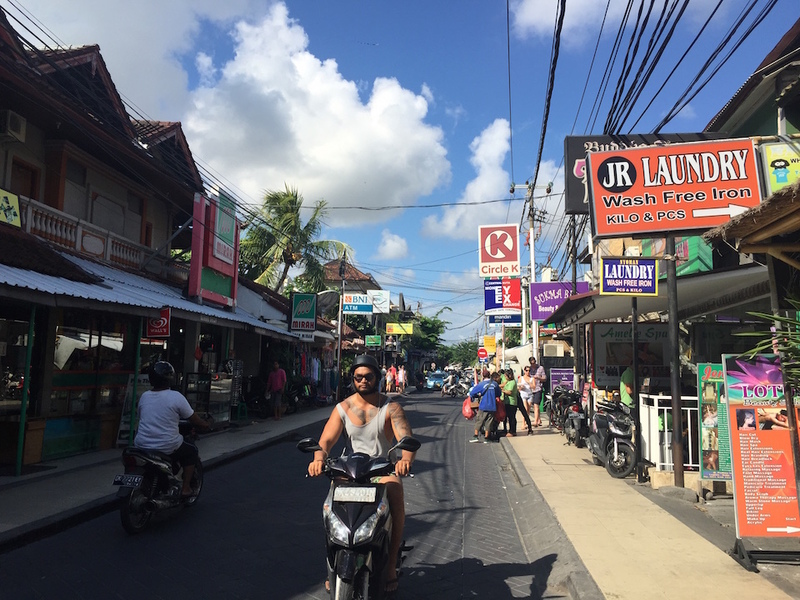 With a lot of art markets around Legian and Kuta, you can always grab a good bargain and shop till you drop! 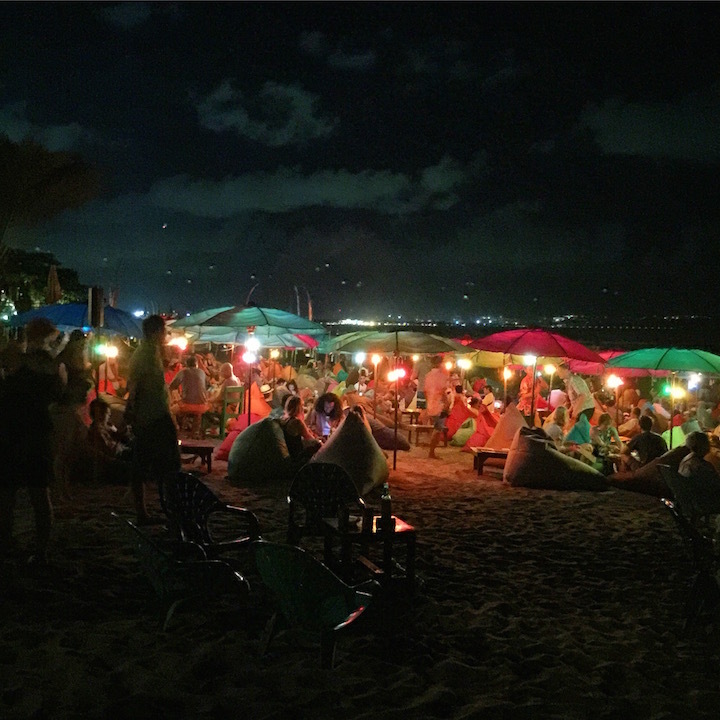 With a lot of world class music DJs and pubs around, you can always add some spice to your night life. Or you can even chill by the beach with a cold pint!